Maddocks is a major supplier of dust collector bag cages. We provide a wide range of sizes. 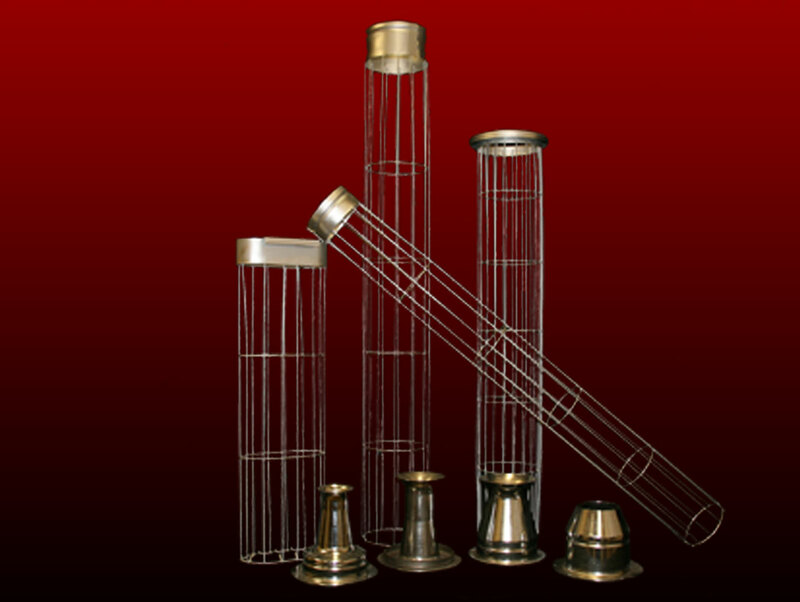 Our basic wire cage construction consists of 10, 12 or 20 vertical wires with spacer rings at 4, 6 and 8 inch centers. All welds are smooth, and rounded edges on our end caps reduce bag wear. Maddocks can also supply a custom made cage for customer’s needs. For areas where headroom is a problem, Maddocks offers quick-connect cages of a unique two-piece construction with a positive lock system, available in any length required. For areas where moisture or acid corrosion are present, Maddocks provides a range of materials and finishes for harsh environments. Maddocks also offers a wide range of Spun Aluminum, Steel and Stainless Steel venturis to fit most dust collector systems.